Once the active period of treatment is completed, your braces are removed. The next step is called retention. Retainers are utilized to hold your teeth in their new positions so that they do not move back into pre-treatment position. 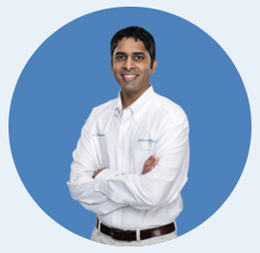 In our office, our standard protocol is to place a fixed retainer wire behind the lower incisors and we provide a clear removable retainer for the upper teeth. We are frequently asked “How long do I have to wear my retainers?” The answer may surprise you: we recommend that you wear your retainers as long as you want straight teeth! Studies have shown that teeth will always want to move, even for people who have had their wisdom teeth removed. 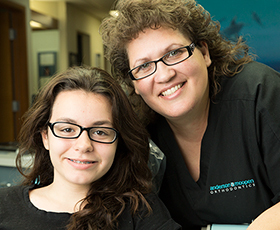 In fact, almost 50% of adults who come to our office for treatment had previous orthodontic care as a child. At some point they neglected to wear their retainer or were told to remove their fixed (permanent retainer) by a dental professional. We do not forget about you after your braces are removed. There are two office visits during the 1-year retention period where we examine your retainers and your bite relationship to ensure your results will last you a lifetime. In the meantime, if you have any questions or if you accidentally cause any damage to your retainers, please call us immediately. We always say that half the work in orthodontics is getting the smile perfect, the other half is keeping the smile looking great.